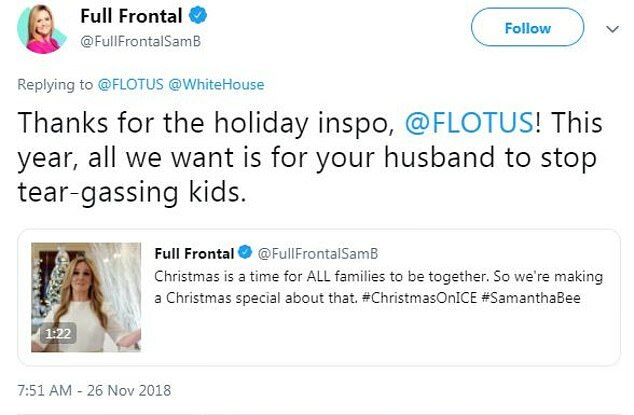 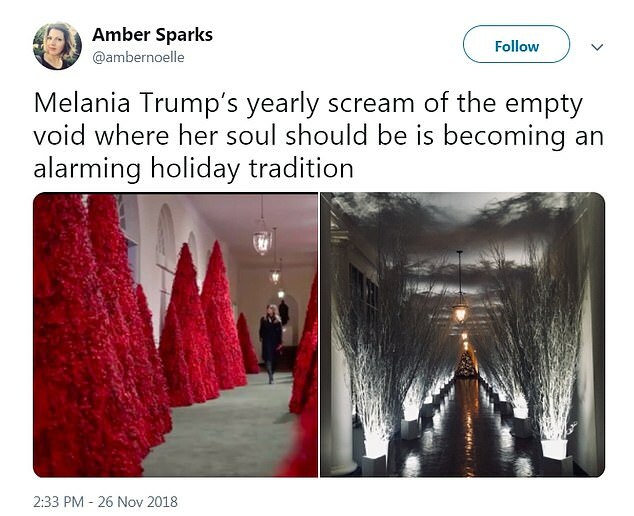 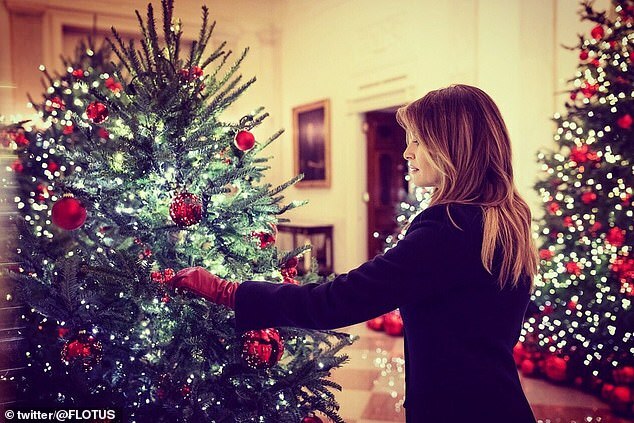 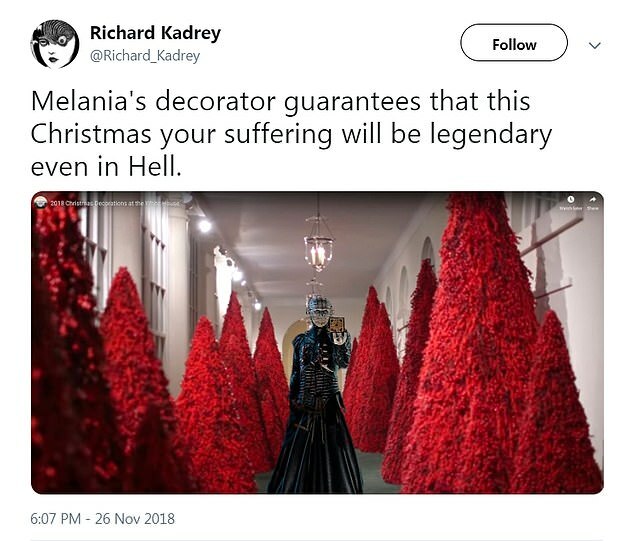 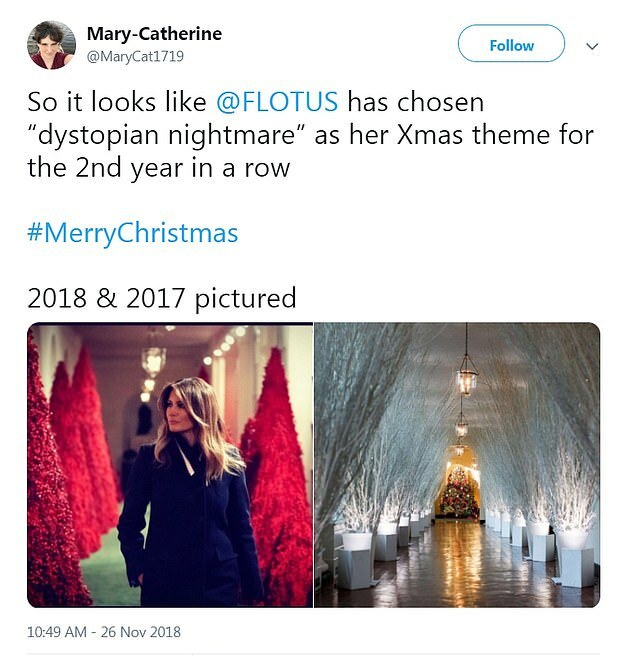 Melania Trump unveiled the White House Christmas decorations this week, and for the second year in a row, both the media and social media users mercilessly mocking the first lady's 'scary' decor — this time claiming the 'blood red' trees are reminiscent of The Handmaid's Tale and The Shining. 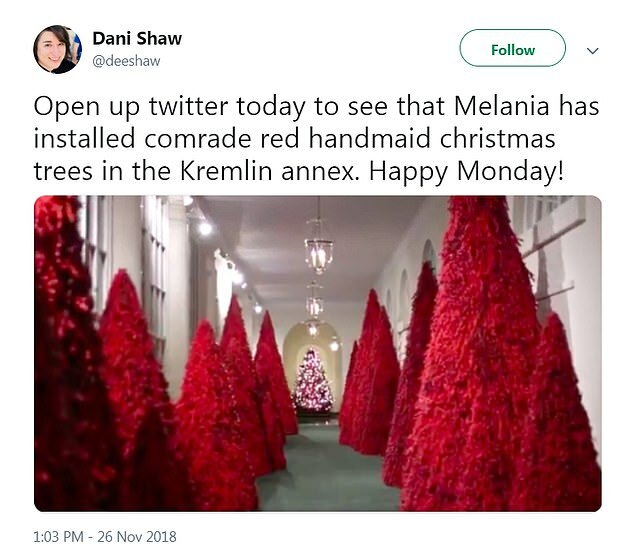 'The choice of red is an extension of the pales, or stripes, found in the presidential seal designed by our Founding Fathers. 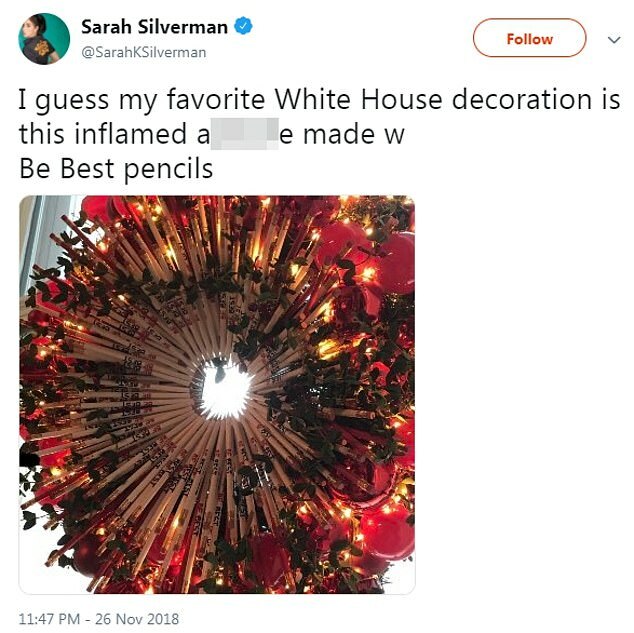 It’s a symbol of valor and bravery,' the White House explained. 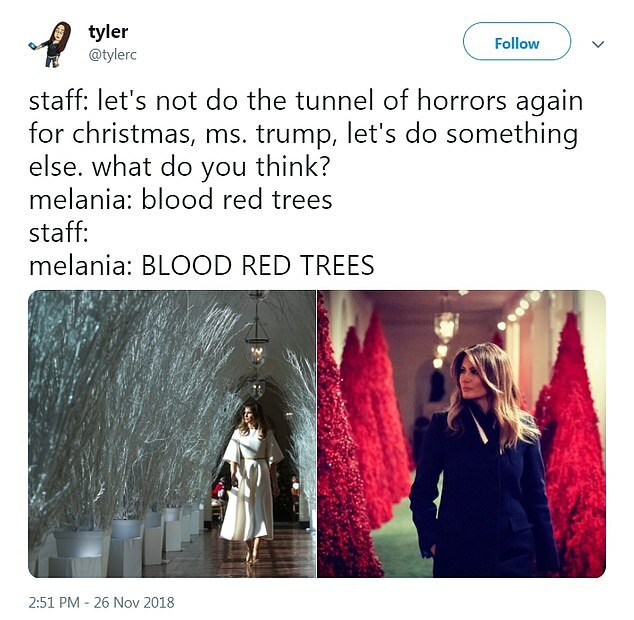 However, many people saw the red trees in a different light. 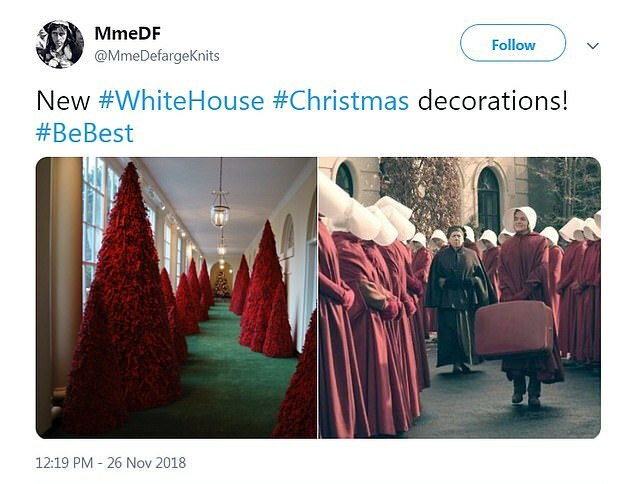 They compared them to the red handmaids dresses worn by the women forced into sexual slavery in The Handmaid's Tale and the blood that flows down the hallway in the 1980 horror film The Shining. 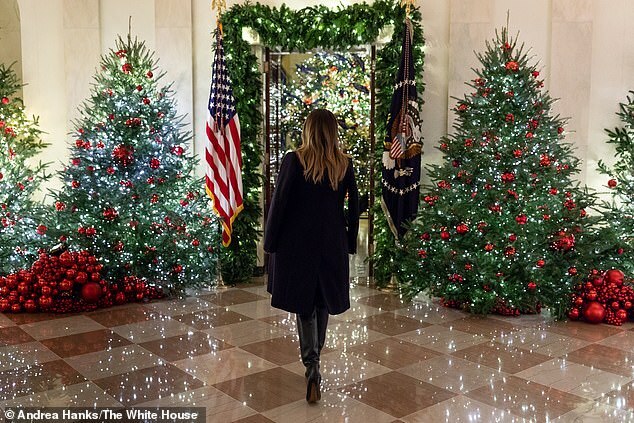 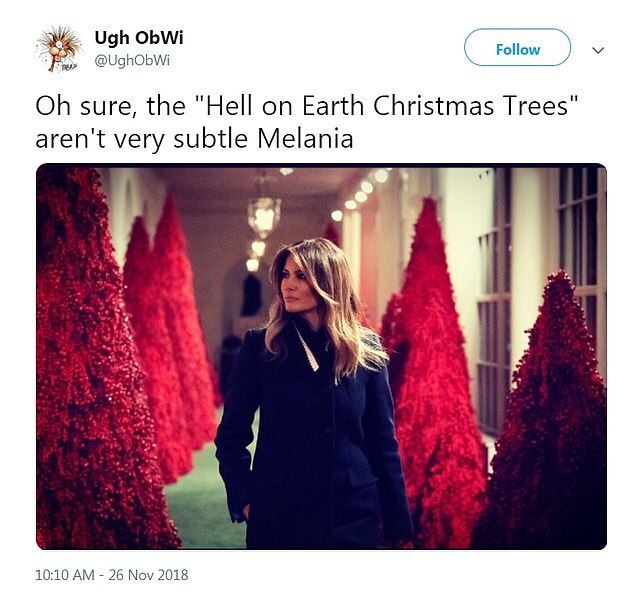 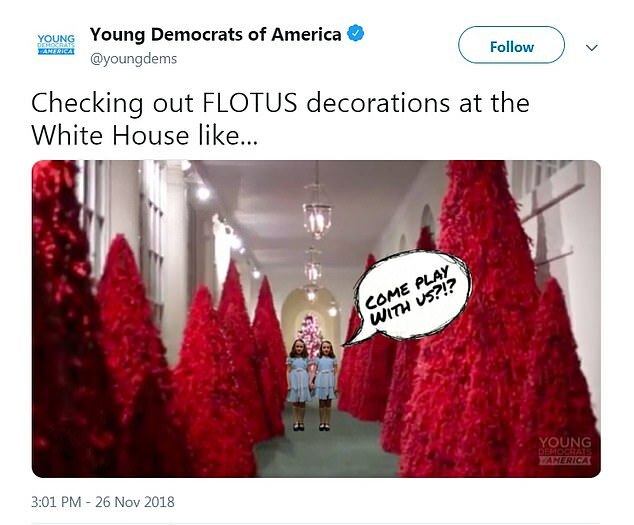 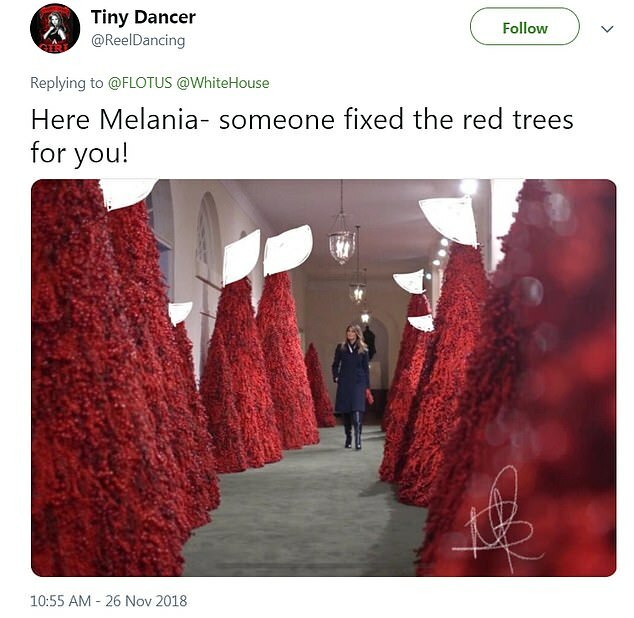 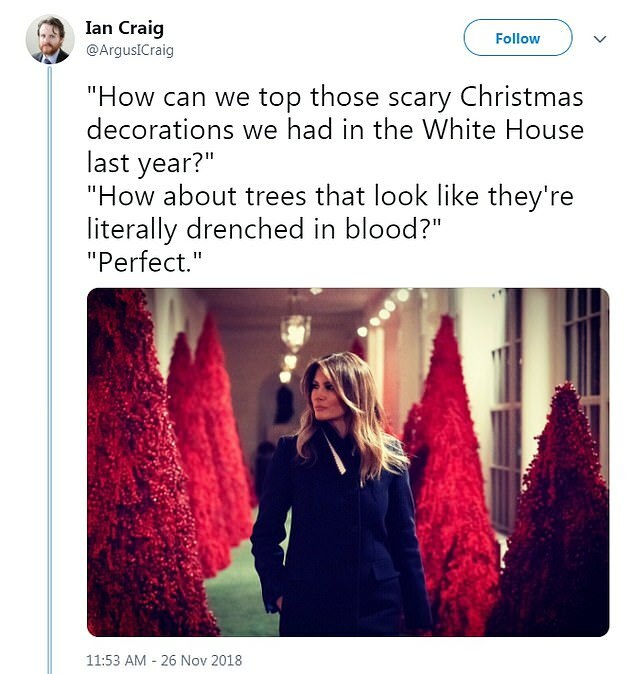 'So Melania decorated the White House for Christmas - with blood red trees right out of The Shining: Holiday Version. 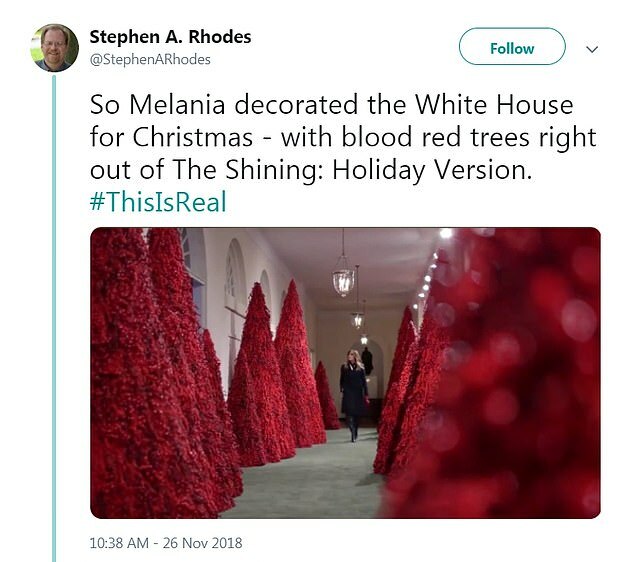 #ThisIsReal,' Stephen A. Rhodes tweeted. 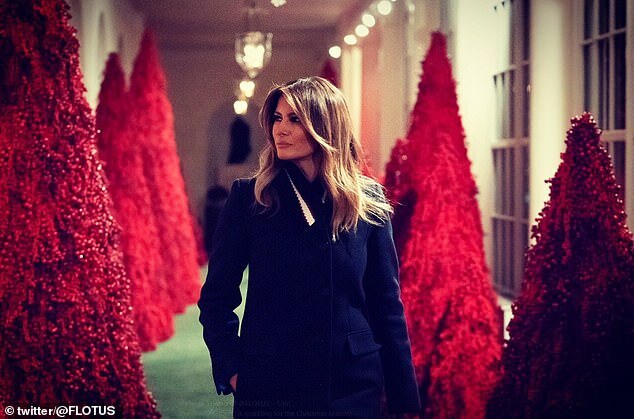 'Never one to be wasteful, Melania took the robes of fallen handmaids and turned them into Christmas trees. 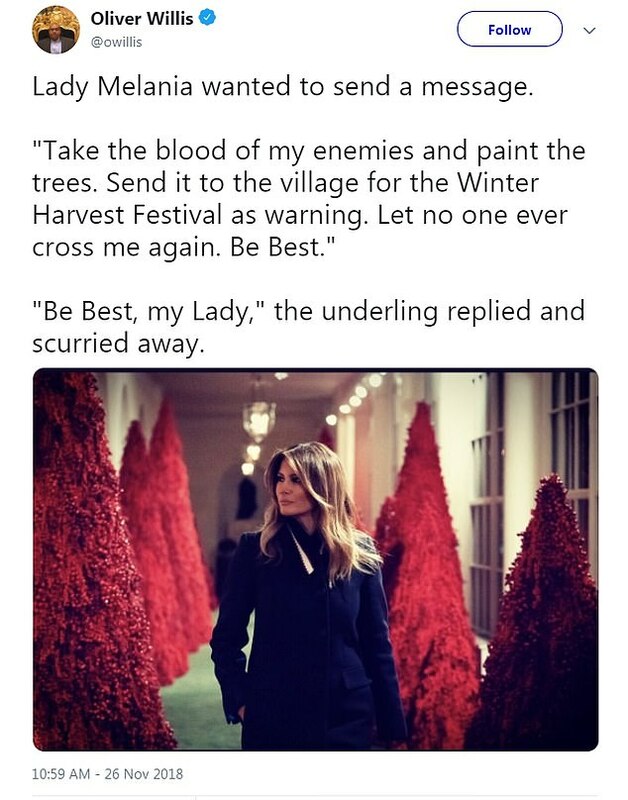 Praise be!' 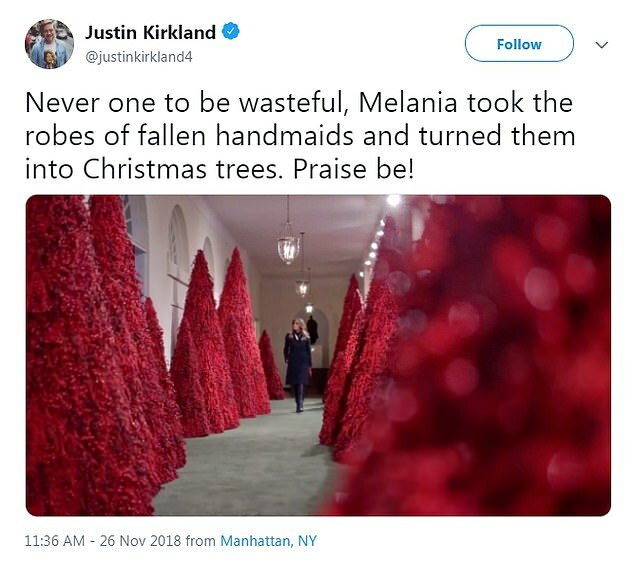 Justin Kirkland commented.